Told through the eyes of 12-year-old Daphne, an autistic child, this fresh take on the zombie apocalypse is a fun and thrilling romp through St. Louis, MO and beyond, as family and friends struggle to stay alive and uninfected. Daphne gets these feelings sometimes, in her stomach, when things aren’t quite right. She knows that her feelings never steer her wrong, so when she’s going to dance class one day and gets a bad feeling about the house next door to the studio, she doesn’t ignore it. And she’s right not to, as it’s ground zero for a zombie virus outbreak. As she and her family escape the city, she realizes that what sets her apart from so many people–her autism generally and her specific stims–is what will help her defeat the zombies and keep her family safe. She finds the power within herself to defy the odds and bring victory to the fight. It’s not easy, and lots changes throughout the course of Daphne’s journey. But this girl keeps pressing on in the face of her fear, knowing that she has what it takes. So let me tell you, guys. I stumbled on this in the most serendipitous way. I was having lunch with a friend of mine who has an autistic son. We were walking back to my car and passed one of my favorite used bookstores. I asked if she’d ever been inside, and she said no, so in we went. Just inside the front of the store was this author display where this lady from St. Louis was talking about her own autistic child and how in writing this book she is seeking to normalize atypical behaviors and the way of seeing the world. Well, of course, both my friend and I immediately were drawn in. We struck up a conversation with Jackie (the author), and now we’re all Instagram and Twitter friends. I went home and downloaded the book to Kindle right away, and it took me less than a day to read. What’s not to love about this book? First of all, it’s self-pubbed, and it’s rare to find one written this well, especially for a first novel. It’s chock full of heart, grit, and determination. And it does such a great job of normalizing autism. Daphne’s friends and their families all know about her autism and will even stim with her occasionally at school so that she doesn’t feel like she’s the only one. And how cool that her stims trigger her superpowers? This author and book series is one to watch out for. Good middle grades fiction gets overlooked a lot, but there’s no reason for it, and no reason for this book to be overlooked. 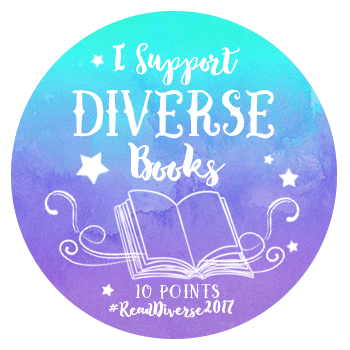 The Power Within is a perfect book for the #diversebookblogger community to jump on. Autistic MC, self-published book. And the author is super friendly and down to earth. And it’s only $2.99 on Kindle. Seriously, go get yourself this book. You’re gonna love it. J.E. Nelson lives and works in St. Louis, MO. She draws inspiration from her two children, both of whom are main characters in her debut novel, The Power Within. Ms. Nelson seeks to confront the stereotypes that surround living with autism and is excited to be working on the sequel to The Power Within to keep the momentum going. To learn more, visit her website, Instagram, and Facebook!